Opening a New Zealand bank account. For many backpackers and working holidaymakers, opening an new bank account when travelling overseas can be quite daunting. You may find yourself lost and drowning in the options of banks, interest rates, and fees attached. So where do you start? The good news is our guest writer, Luke Wing, has done the hard work for you and paved the way to your first few options for companies to bank with in New Zealand, as well as honing in on the types of bank accounts best suited to travellers. 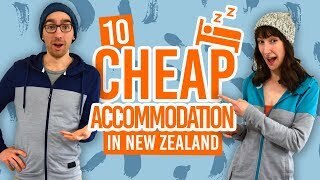 If you are travelling New Zealand for a year or studying and don’t have any real intentions with your money, the basic no-fee accounts are your best options. These bank accounts allow you access to you money electronically with free EFTPOS cards, which we’ll go through below. Opening a bank account is all part of your first week steps in New Zealand. Check out this article for more guidance for your first week on a working holiday. Firstly, let’s assume you are the average traveller that wants a place to store your money in bank X and you are in need of a way of accessing that money electronically, then good news! It is going to be free ride for you. All the bank accounts listed below come with a free EFTPOS card – that’s your debit card to use at ATMs and to pay on chip and pin machines in stores. If you want to be able to pay for things over the Internet, then you’ll need a Visa or MasterCard. Acquiring a Visa or MasterCard debit card will cost you an annual or one-off fee of around NZ$10. This card usually takes about a week to process, so is delivered to your postal address. It is very unlikely that you will be able to get a credit card in New Zealand, as a proof of income would be needed and you need to be a permanent New Zealand resident of 18 years old or above. That’s why many travellers come to New Zealand with a credit card from their home country. For more information on using money in New Zealand, wise up with our article on currency in New Zealand. Setting up your bank account from overseas before to entering the country is much easier and quicker to set up overseas bank transfers from your home bank branch rather than doing it from New Zealand. Plus, it can earn you some interest on the money deposited prior to entering the country. However, you will not have access to this money until you present proof of ID and a proof of address in-person at a branch of the bank you have enlisted to. (More of that in the section below). Do bear in mind the exchange rate, thus transferring money to your new New Zealand bank account, is likely to cost you money. To apply to open an account with most major banks, you will need to fill out an online application form which can be emailed or posted to the address found on their website under contact details. Be aware, you need to fill out your application form and have it sent to them 10 days prior to entering the country to allow for the application to be processed. We suggest then sooner you get this done, the better. For most working holidaymakers, you can only apply to open a bank account once you are in New Zealand. Book a bank appointment as soon as possible, especially if you intend to stay in Auckland Central for the first few days. If there are no appointments available in the near future in Auckland Central banks branches, then we recommend making an appointment with one of the suburb branches instead. Proof of address – This is a standard requirement. 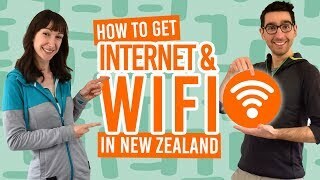 Only a New Zealand address can be used. This can be a hostel or hotel address, but be sure to speak to the manager of the hostel first. Proof of Identification – Your passport is a valid form of ID in New Zealand. Your overseas Tax Identification number – This goes by different names depending on what country you are from, for example, national identity, social security, personal or tax number. Copy of your visa – Some banks check your visa, so have a printed copy or show them the visa if physically printed in your passport. To find out how to print a working holiday visa, follow this guide. By the end of your bank appointment you should have an EFTPOS card and have selected a pin number for it. Other types of debit card may take longer to process and will either be available to pick up at the branch at a later date or sent to a specified postal address. Go Account – no fees. Simple. Online Account – no fees, 1.9% interest. Setting up these accounts online and depositing money from your home country to one of these accounts will incur a NZ$15 charge for incoming payments. After that, transferring your money domestically in New Zealand will be free of charge. Electronic Account – a paperless account, meaning it’s all on the Internet. There are no fees attached with this account unless you are depositing and crediting cheques. However, if you have NZ$20,000 stashed away then there are no fees for cheques. A MasterCard debit card will cost you a NZ$10 one-off fee. Online Saver – unlimited withdrawals and deposits. It also has a 2.2% interest rate per annum. Online Bonus Saver – unlimited density and withdrawals and has a 3.3% interest rate. The Bank of New Zealand, as it is formally known, has two of their own accounts which are worth a look. You Money Account – at NZ$5 a month you can have a BNZ account with up to 25 sub-accounts with unlimited transactions and a freephone helpline. A Visa debit card will cost you a NZ$10 annual fee. It’s important to note that if you have come to the country to studying some bank fees may be wavered. On All Account – free account offering a 2% interest rate. BNZ try to encourage you to save by charging you NZ$5 per withdrawal from this account unless money is transferred to an everyday account with the bank or the “You Money Account”, as it is formally known. Now that you are sorted with a bank account in New Zealand, you can finally transfer your savings from back home to your New Zealand bank account. Travellers Cheques and Amex are a BAD IDEA. They are extremely slow to process and are not accepted by every bank in New Zealand. Bank fee: from your bank back home to initiate an overseas transfer. Currency exchange: lower than the exchange rate you can find online. Bank fee: from your bank in New Zealand to receive an overseas transfer. No fee from your bank back home since you transfer money onto a account in your own country. Better currency exchange rate than the one offered from your bank. No bank fee from your New Zealand bank since you are receiving the money from a New Zealand account. Spend that money on a rafting trip instead of giving it to a banker, will you?! For a more in-depth look at overseas transfers, take a look at our guide to How to Transfer Money to Your New Zealand Bank Account. It’s really important your New Zealand bank account is shut down before you leave the country. We can’t stress how painfully long this process is if you try to close your bank account from overseas. Additionally, the fact that bank fees continue to be charged from your account can play on your mind. It’s very easy to close your account by booking an appointment with your bank to close your account. This process usually takes 20 minutes at the most. Take your passport and your bank cards to your appointment to close your bank account. For a complete guide, check out How to Close a Bank Account in New Zealand. More work and money essentials! 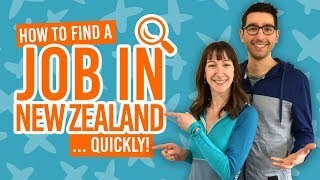 Because we are a guide covering all aspects of working, travelling and being awesome in New Zealand, be sure to check out these articles for more tips!